With Memorial Day only a week away, salad season is in full-swing! Here’s a yummy take on a classic greens salad with a SooFoo twist. Toss together SooFoo, chickpeas, fennel, raisins, green onions and olives. Combine Balsamic and honey to make dressing. 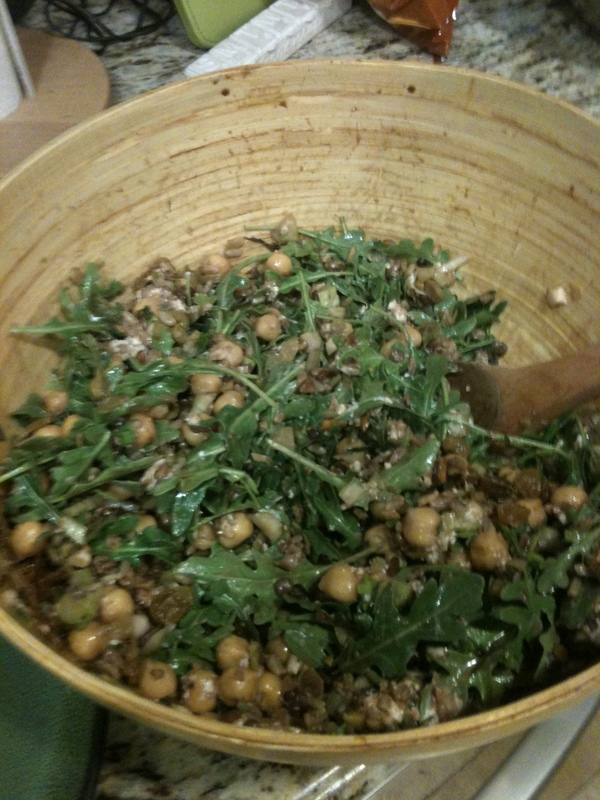 Toss SooFoo mixture with arugula, goat cheese , pistachios and dressing. It’s as simple as that! Also if you haven’t signed up for our iPad giveaway, here’s your chance!